We have the use of a large section of the concrete runway originally used by the RAF and the US Army Airforce during World War 2. its was from here that on D-Day a large force of C47s towing Waco and Horsa gliders, lead by Col. Charles Young, set off for the beaches of Normandy to play their part in the liberation of Europe. The size of the runway, both in length and width, allows for safe take-offs and landings to be made with the wind in any direction. 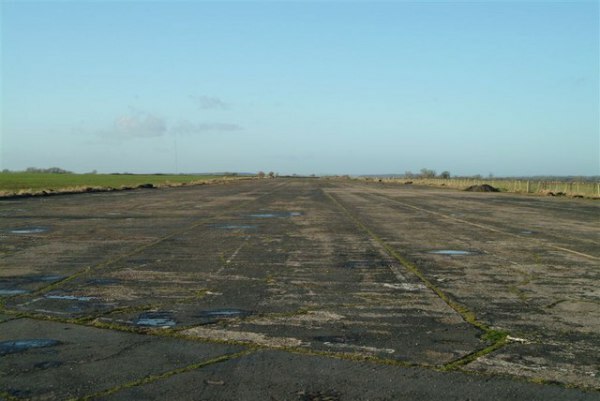 the runway is long enough to accommodate large models as defined by the BMFA as well as high speed gas turbine engined models. All types of radio controlled mode aircraft are flown - sport, aerobatic, scale, electric and helicopters. Free flight is not practicable as we only have limited access to the farmland surrounding the airstrip. The club is affiliated to the British model Flying Association and adheres to the BMFA rule that members nay not fly without supervision by an instructor or experienced flyer unless they hold at least an 'A' certificate of competence. The club has a number of qualified instructors who are happy to help the newcomers to the hobby. As an integral part of your membership we offer comprehensive flight instruction at no additonal charge. Simply join the club, contact an instructor, and set up a time to meet at the field. Of course we expect all new pilots to spend the time necessary familiarizing themselves with the basics of preparing their new plane in accordance with the manufacturer’s requirements. And we expect new pilots to understand the basics of setting up and operating their transmitters…read the instructions please! Blackdown RCFC instructors can help you with either glow powered nitro burning trainers, or modern electric powered trainers. Before you purchase your first plane, consider that a high wing trainer plane is easier to use for training than a low wing model, and the the larger the trainer is, the easier it is to see in the sky, and therefore control. Feel free to talk to an instructor before you decide as we have many years of experience with many different trainer planes. We want for you to succeed in this rewarding hobby. Learning to fly RC with an instructor will be with a second controller known as a “Buddy Box”. The instructor gives control to the student pilot at a safe altitude but then is ready to take back control in an instant to save the aircraft from crashing if the student gets into trouble, Your new investment is safe in the hands of the instructor.